Roberta is 80 years old and has been a member of Milestone for 2 years. She had her right hip replaced in November 2015 in which they removed pins from her leg that had been there for 20 years. The muscle atrophy in the leg was very severe and she was left unable to lift her leg off the floor. She had pain around her thigh and her glutes, and she required the assistance of a walker for mobility. There was not a very good chance she would ever be able to walk without assistance. 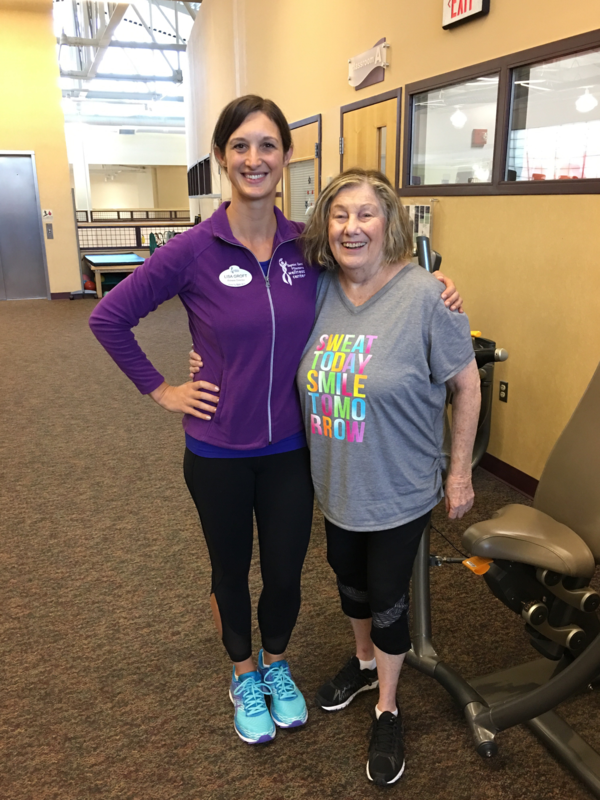 Roberta was enrolled in physical therapy immediately following her hip surgery. 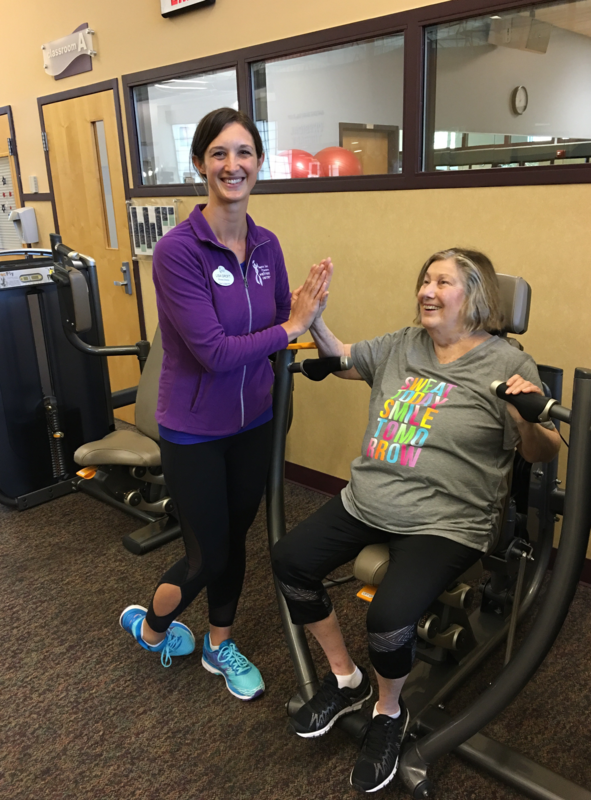 She transitioned to working with a personal trainer at Milestone, Lisa Groft. Roberta had the desire to improve her situation but her body wasn’t very strong at this point. Roberta exercised in the pool and on the machines with Lisa 3-4 times per week for 6 months. Through hard work and strong mental determination, she began to improve slowly. She graduated to walking with a cane instead of a walker. She kept working. Her goal was to eventually walk without the cane. To help with the persistent pain in her lower body, she received regular weekly massages from Peg in the Oasis Spa, focusing on the painful areas. Roberta felt encouragement from staff members in many departments along her journey. Roberta continues to personal train with Lisa. Roberta is now able to walk 3+ laps on the track with no assistance. No walker, no cane! She is independent and feels so empowered. She can ride a bike for 30 minutes. A vast difference from when she couldn’t walk without a walker and couldn’t lift her leg. She is a true inspiration and she thanks the Milestone staff and especially Lisa for helping her achieve this victory!